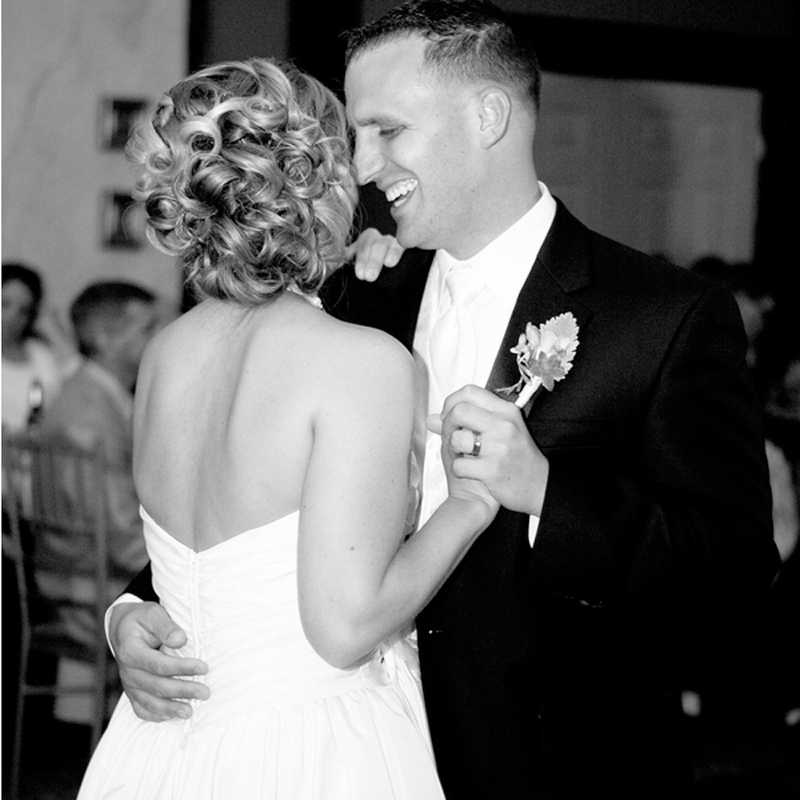 Have we a beautiful love filled wedding to share with you today, submitted to us by Dawn at A Garden Party. 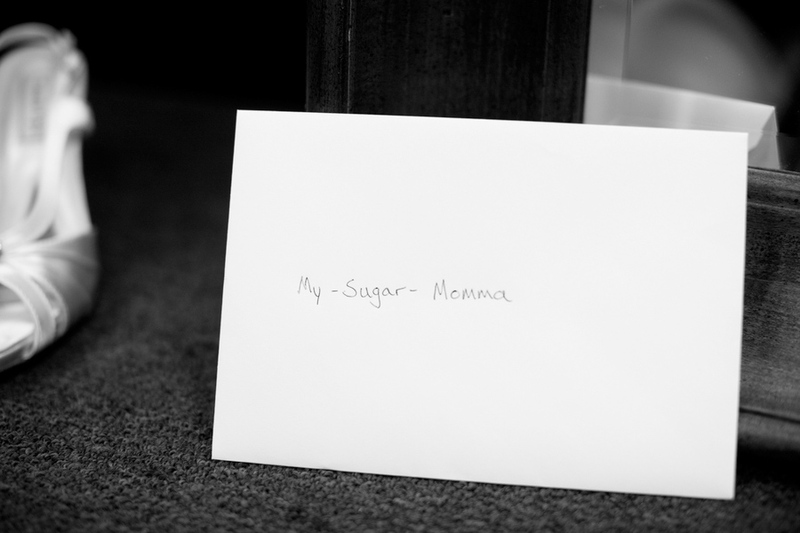 I think I "oohed" a dozen times as I viewed the sweet and rustic details throughout. 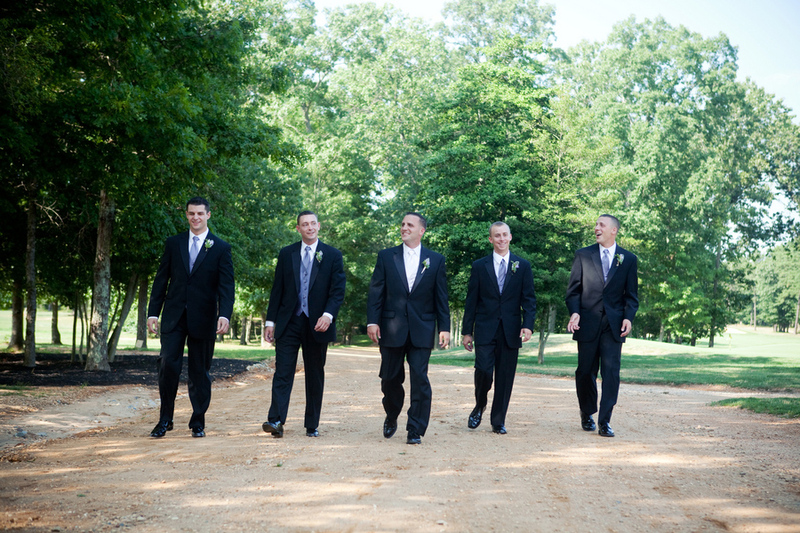 Brides, if you are looking for unique inspirations, there are definitely one of a kind ideas for you in this wedding! 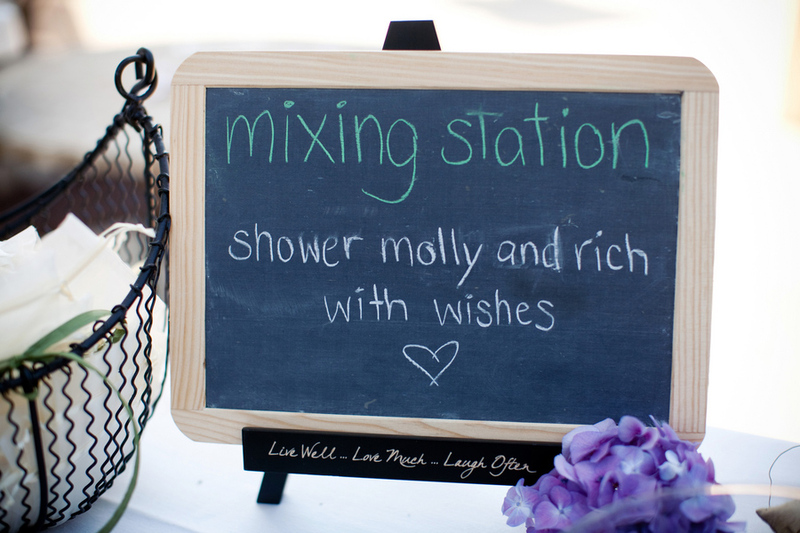 Molly and Rich’s wedding was full of soooo many cute details. Instead of a Unity Candle, they did a tree planting ceremony. 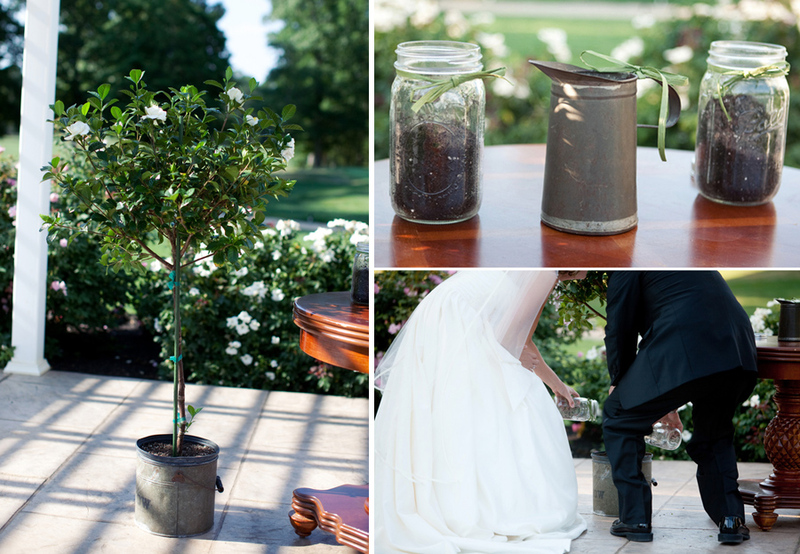 Molly and Rich each spread some soil on a potted gardenia, then their parents watered it (showing their support for the new couple). Love this idea! 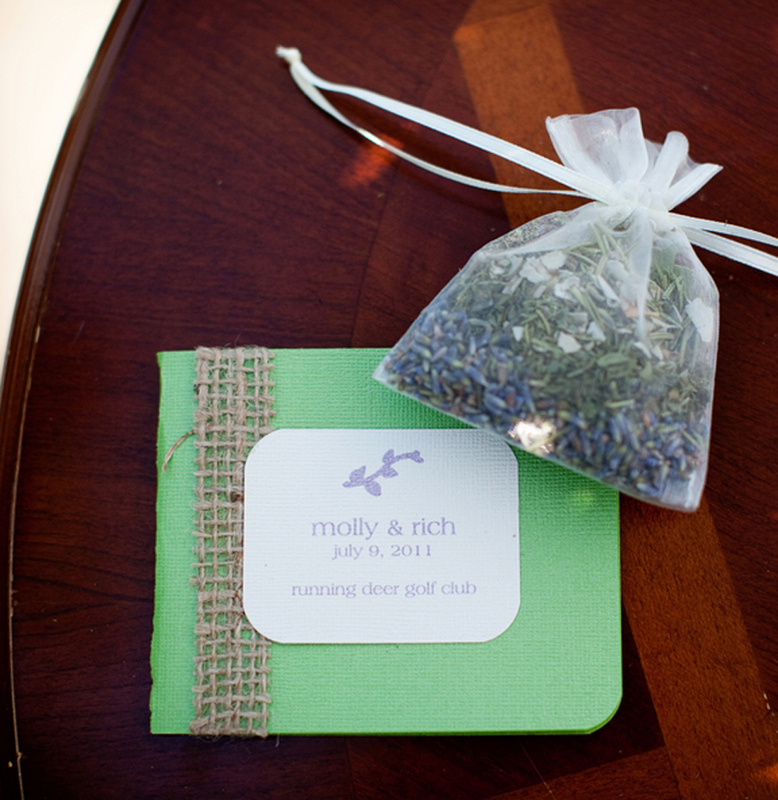 They had their guests shower them with herbs which guests were able to mix themselves according to their wedding wishes. I love original ideas like this one! 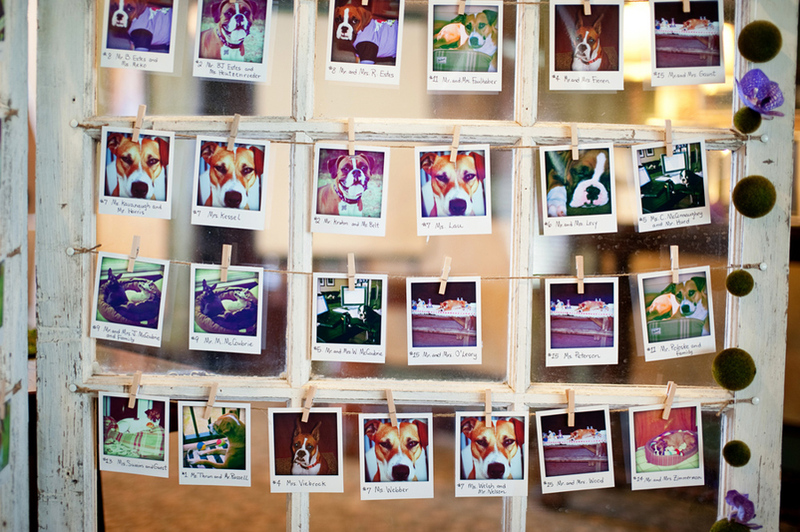 Molly used n antique window pane to hold her guests seating cards (which were labeled polaroids of their dog! 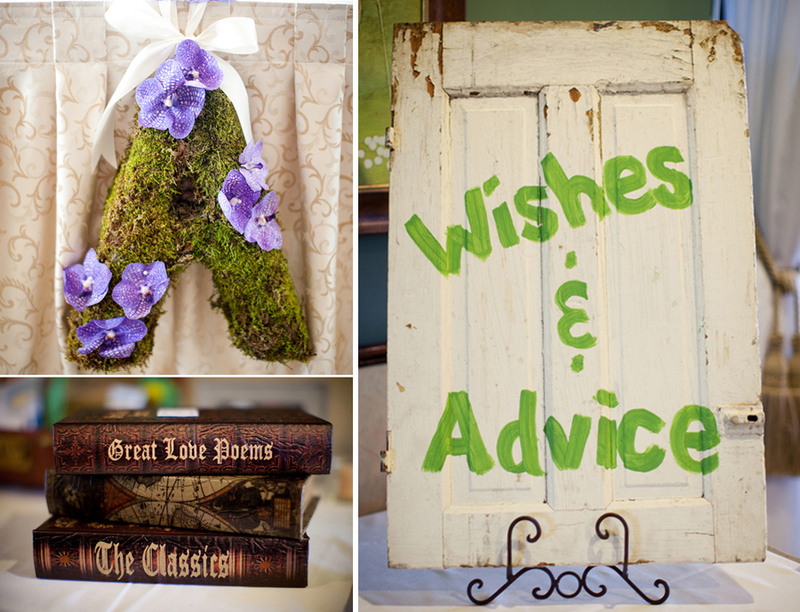 ), which we accented with hanging moss ball garlands and vanda orchids. 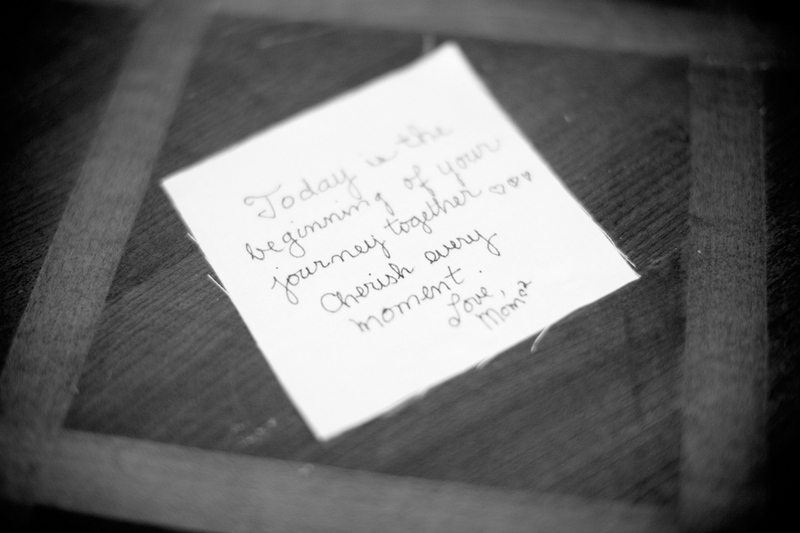 The wedding really paid tribute to the couple and showed their love for each other and their excitement about their future together. 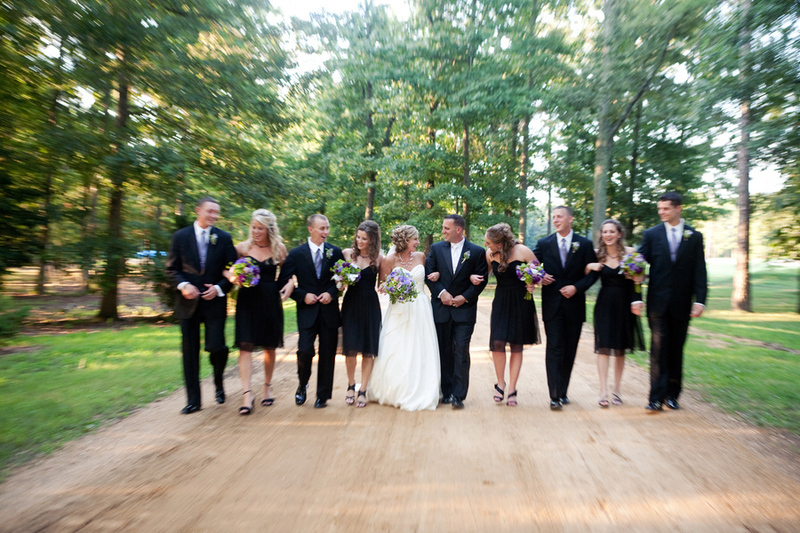 So much creativity and love went into this wedding. Which part inspires you more? The tree planting ceremony is so unique, I've not seen that one before. 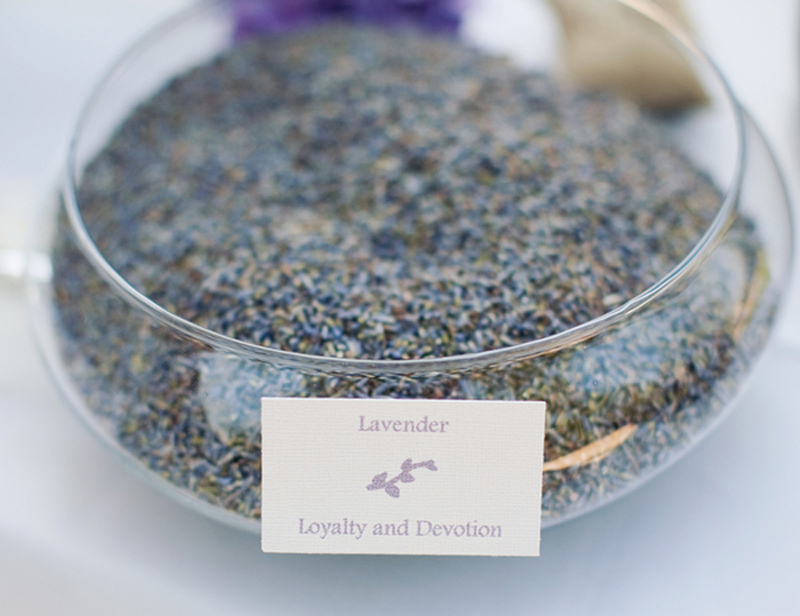 I do love the herb sentiments for the guests to shower onto the couple-that is definitely one of a kind. I imagine the guests enjoyed this part, especially if they are wishing the couple to have many children-fill that sachet up with basil! 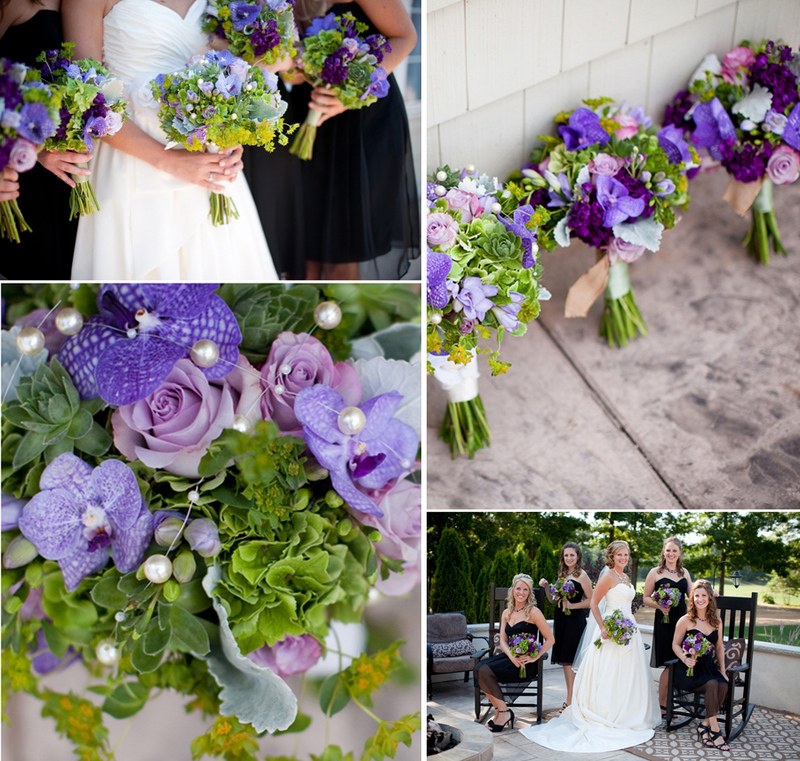 Molly’s bouquet featured purple haze roses, green hydrangea, purple vanda orchids, dusty miller, freesia, and succulents that we handpicked from her mother's garden. 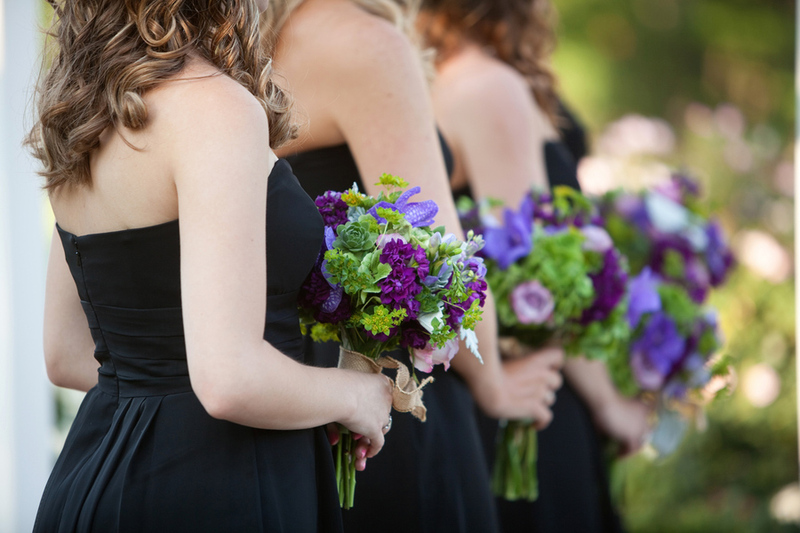 The bridesmaids carried bouquets of purple stock, green hydrangea, vanda orchids, bupleurum, dusty miller, and succulents. 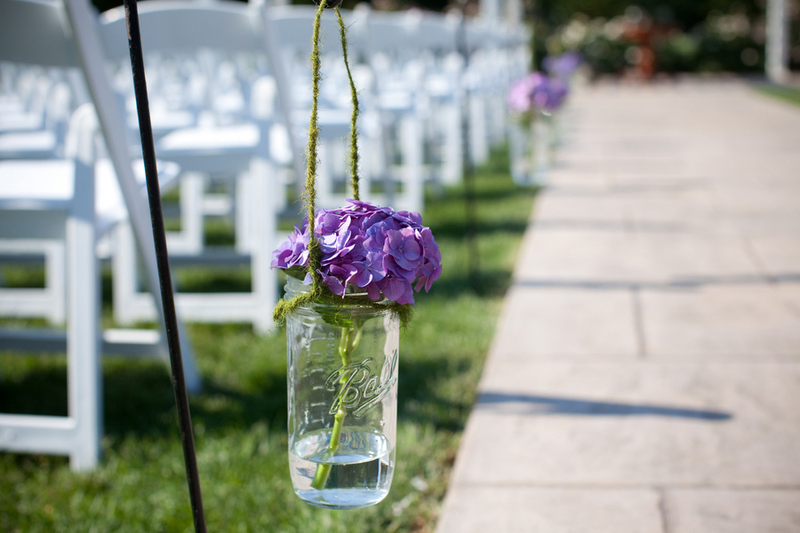 The stems were wrapped with green ribbon and accented with a burlap detail. I love that the flowers were hand picked from a personal garden. It is apparent this couple is eco-friendly savvy, which we love to see. 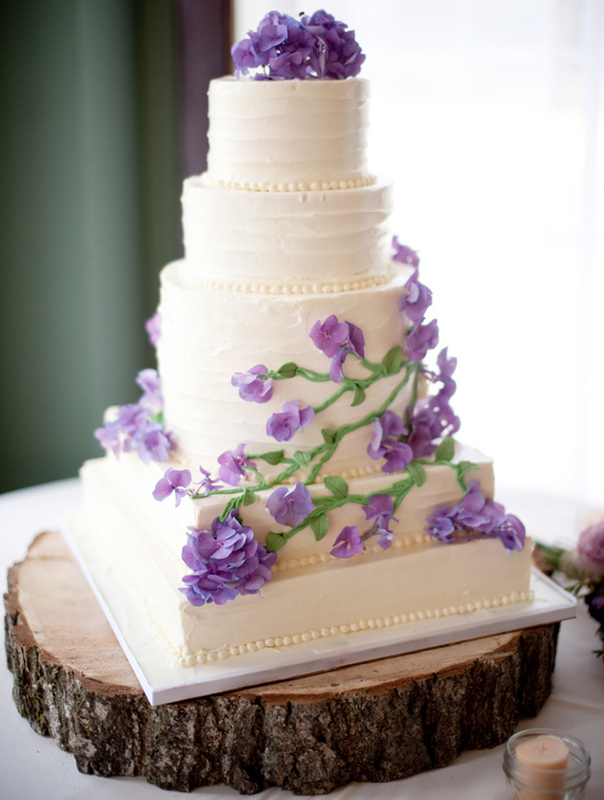 Did you notice the rustic wooden cake stand? Love it! Our thanks to A Garden Party for this beautiful submission! 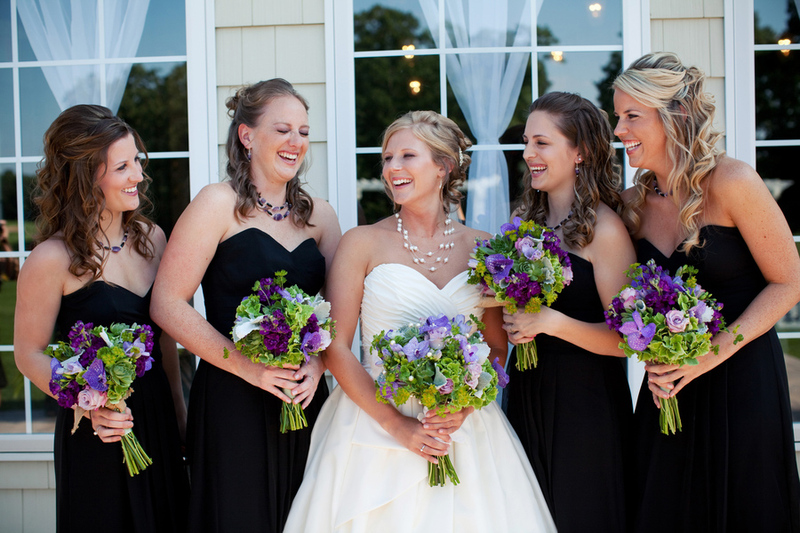 Im in love with their flower choices! So pretty! 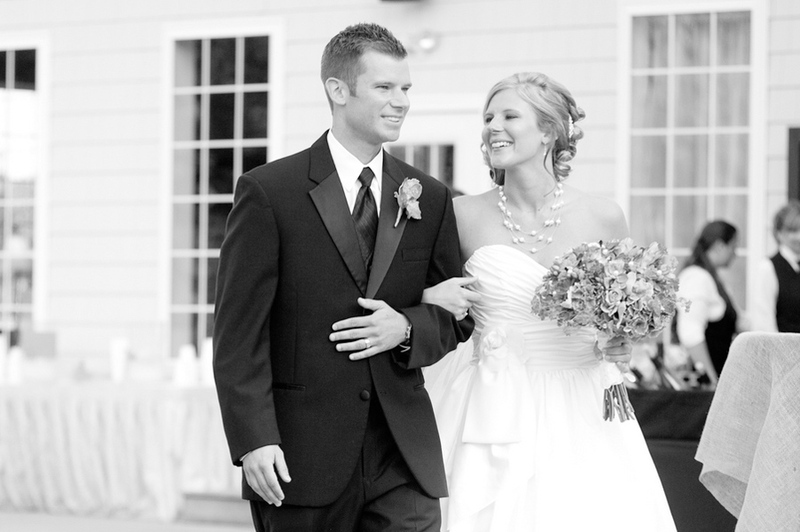 Your wedding is very perfect. Purple is my favorite color and these flowers have also purple color. I’ll hope to get such decoration for my location on my superior day.